I’ve now seen three stories about Senator Tim Johnson’s re-election bid. They’re all very similar. 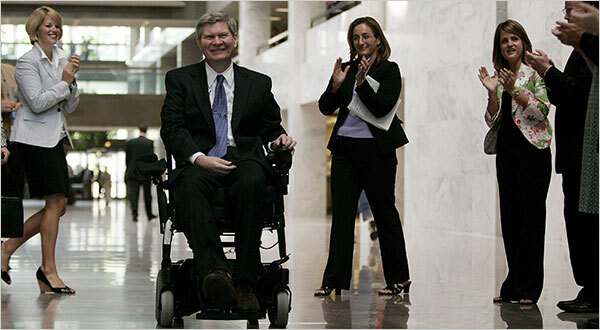 They all have a picture of Senator Johnson in what is clearly a power chair, and they all say that it is a scooter. I guess “scooter” telegraphs less disability than “power chair” or “wheelchair”. I like the Power Chair moniker!